Are you spending most of your time working on a laptop or a desktop? Are you scrolling through social media and did not even blink your eyes for even once. Maybe you are stuck in the office and working on some important project or probably binge-watching your favourite shows on any electronic gadget. The reason can be different but we all share one thing in common i.e. we are addicted to gadgets. This digital era has its own pros and cons. And you know what the bad news is? We are so dependent on our gadgets that all of us are exposed to digital dangers. Our smartphones are turning out to be the biggest addiction that we have in today’s time. (Fact) According to a research by GSMA Intelligence, there are 7.22 billion mobile devices with approximately 7.19 billion people. Do you understand what this means? There are more mobile devices than people on earth! Shocking right? No, we haven’t come to the astonishing part yet. In between all this digital fuss, your eyes are suffering the most. Yes, your valuable vision gets affected as you strain your eyes all day long. The technology terrors are marching towards you and you don’t even know about it yet. Well, you can feel it but you don’t do much about it. Do you stare at your computer screen all day? Well, then there are chances that you may get Computer Vision Syndrome or CVS. According to the National Institute of Occupational Safety and Health, 90% of people who suffer from CVS are the ones who spend 3 or more hours a day on the computer(Fact). Thinking about yourself? Well, then you will think harder. If you can relate to the below symptoms that means maybe you are suffering from CVS. Are you guilty of straining your eyes? Excess of anything is harmful. If your eyes meet your laptop more than your loved ones then your eyes are likely to suffer. Focusing on your computer all day can lead to Computer Vision Syndrome. No, you are not drunk! You are seeing things double because of staring at your computer and mobile screens for too long. Facing discomfort with blurry vision? Seeing things blurry? Well, it’s a symptom of CVS and you should probably be heading to the best eye care hospital in Hyderabad. As if suffering from dry eyes wasn’t enough! If you have dry eyes then you are likely to have Computer Vision Syndrome. Are you feeling dizzy lately? Consult an eye doctor immediately as you might be suffering from Computer Vision Syndrome. Comfort is liked by all. Especially when it comes in the form of technology, it is welcomed with wide open arms. But our dependency on gadgets is increasing day by day. Technology is ruining our eyes. You know the harmful effects of technology. Now let’s tell you about the ways in which you can curb the effects. A simple step today can reduce the long-term damage on your eyes. Try these simple steps and protect your vision. Do you know that there is a specific distance that you should maintain while working on your system? Yes, you should sit 20-25 inches away from the system, with your eyes 4-6 inches above centre. Umm… not really into calculation! Wait we’ll make it easier for you. If you follow these rule then it means that you will be looking down at your screen a little. Tilt the screen back and harm your eyes a little less while working on your system. Do you work continuously on your system and feel helpless about it? There’s a solution that can reduce the effects of long-term screen time. Every 20 minutes take a break for 20 seconds (at least) and look approximately 20 feet away. This is exercise will help relieve the pressure from your eyes and allows you to refocus. Yes, even the light is affecting your eyes. Even the brightness of the device you are working on and surrounding you should not be that bright. Quite confusing right? Since we believe that working in low light can harm our eyes. The amount of light that you are working under should be balanced. The overhead and surrounding light should be lesser than your device. Adjust the brightness of the device that you are using and change the background colour from bright white to grey as it is much cooler for your eyes. A very simple point to keep in mind while working on your system. Pay attention to the text size that you are working. Increase the size when possible, as this way you would not be straining your eyes much. The technology is updating frequently and your glasses need to be updated too. No, it won’t be a waste of money. We’ll tell you why! The blue light coming from the systems that you work on is highly harmful to the eyes. Your eyes need extra care as it gets exposed to blue light quite frequently. Eye doctors these days recommend an anti-reflective lens that comes with a coating. This layer of protection blocks and selectively absorbs blue light. Did you notice that while reading this blog you blinked how many times? Can you count it? The answer is, most probably a big no or maybe that you didn’t notice. You know how harmful this is for your eyes! Blinking while working on your system is necessary. It helps in lubricating your eyes so that it stays healthy and moist. So finally, you started blinking! Well, good for you! Make this a habit while using any gadgets. Do you work on desktops daily or use a smartphone? Then incorporate these above-mentioned practices in your daily life. And if you are somebody who sees their computer and phone screen more than their own face then it’s time to visit an eye doctor. 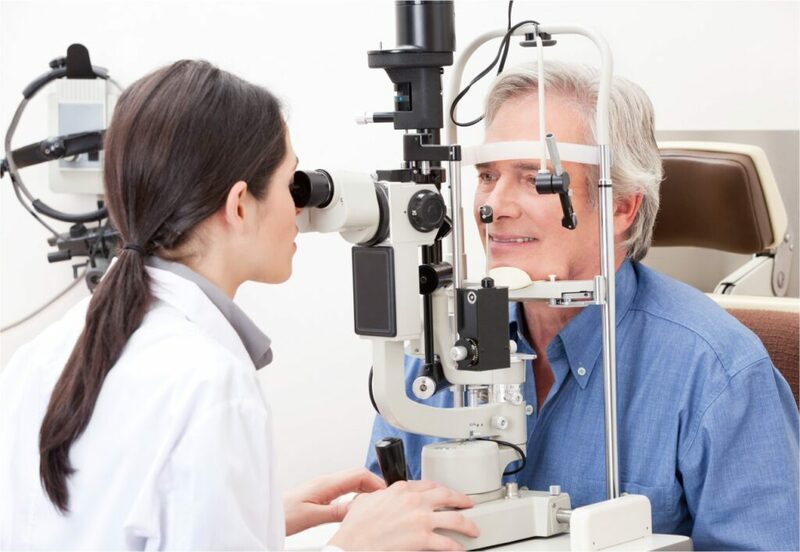 There are various eye care hospitals in Hyderabad that provide advanced eye care. It is hard to avoid technology as it is an important part of our lives. The only solution is to take frequent visits to an eye care hospital so that your work and your vision is hindrance free. It is impossible to even imagine a day without using our laptops and smartphones in today’s time. Taking care of our valuable eyes is not just possible but is an important step. Technology is a ‘Necessary evil’ and our eyes are the firsts victim to it. But wait there’s good news too. With the advent of advanced technology, eye care is also improving. The ‘Digital Retinal Imaging’ helps in detecting problems like cataract much earlier. Eye care hospitals are here to provide the best eye care possible. All you have to do is follow the above steps and reduce the harmful effect on your eyes.